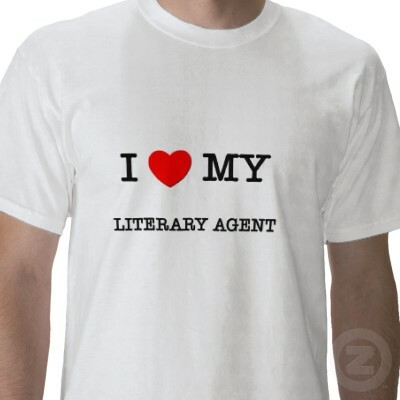 Literary Agents–can’t live with them, can’t live without them. Or something like that. People love to complain about how agonizing it is to find an agent (truth) and how frustrating they can be to deal with (sometimes true also). But the fact is, if you hope to get your book published by a big publisher, you MUST have an agent. The exceptions are so rare as to be a non-factor. I had a lovely agent when I was trying to sell my second book. She was charming and responsive to my questions. I don’t think it was her fault that we weren’t able to sell that book to a big publisher (although I have to point out that the book, which came out from a small press, is now a finalist for a significant award and the other finalists were best-sellers published by Little, Brown and FSG, so maybe there was more potential there than we took the time to explore). When she retired, I was left once again without an agent. But now I have a new book that I believe is ready to go and have just begun the process of searching for an agent. My writing friends don’t believe me when I say I find this exhilarating. There is so much possibility that is still open to this book, how can I not be excited about it? It could be that I’m more familiar with the process than I used to be, and so I’m approaching it differently. I know a number of agents. I have a lot of friends with agents. I have a better idea of what to say in a query letter than I once did. If things don’t go well, I could be singing a different tune, but for right now I am optimistic.